Bariatric Girl » Blog Archive » WLS Peeps need your vote! WLS Peeps need your vote! 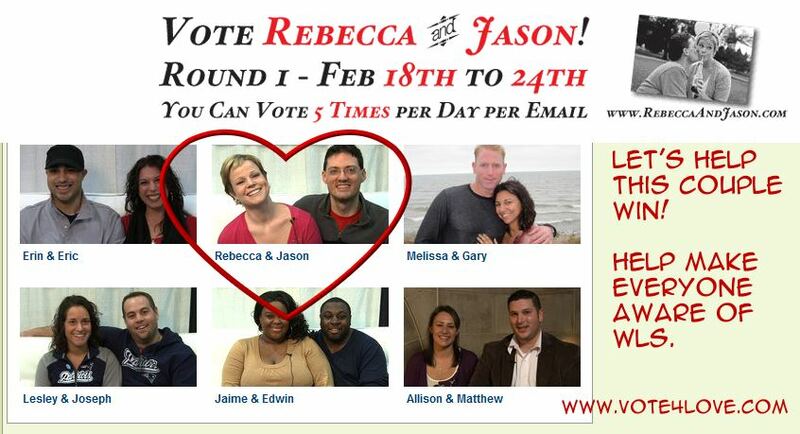 WLS peeps need our vote! Susan Maria sent me a link to her post about their story. Please read their story and pass it on. This is our chance to show the world that weight loss surgery can make a difference in your life. This is a chance to show the world that we are not taking the easy way out and how we are just normal people wanting to live a normal life. This is a chance to show the world that weight loss surgery is not a dirty word that belongs in the back street alleys. Please vote as often as you can. You can vote five time a day with your email address. We need to make this go viral and we need to unite in an effort to show the advertisers that we are strong and should be represented!